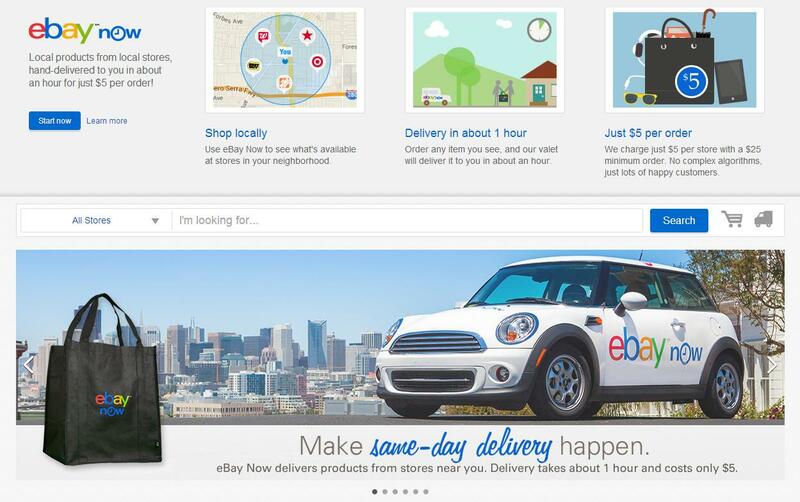 Detailed by Reuters recently, retail auction site eBay announced an expansion of the eBay Now delivery service to new areas of the country in addition to adding support for eBay Now purchases on the desktop computer. Prior to this point, only mobile users were able to make purchases on eBay Now. The desktop version provides a larger interface and allows users to scroll through products listing more efficiently. Regarding the expansion of the service area, anyone living in the Bay Area Peninsula, Brooklyn, and Queens area can use the eBay Now service. In addition, coverage in the Chicago and Dallas areas is coming later this year. Launching in San Francisco last year for iOS users and later expanding to New York City and San Jose more recently, eBay Now allows users to shop locally in order to purchase items that can be delivered extremely quickly. After a purchase is made through the service, an eBay valet (delivery driver) picks up the package and attempts to deliver it within one hour. In order to qualify for the speedy delivery service, the user must spend at least $25 on merchandise and pay an additional $5 delivery charge per store. Several popular retailers participating in the eBay Now service include Best Buy, Target, GNC, Office Depot, Urban Outfitters, Walgreens, AutoZone, RadioShack, Macy’s, Home Depot, Toys R Us and Guitar Center. However, there are hundreds lesser known, local retailers participating in the program as well.